Anne Hinshaw1 [Ann Hinshaw2,3, Anna Hinshaw4]. Anne Hinshaw died Dec 15 1904, McLouth, Jefferson County, Kansas; age 68y 11m 6d.4,5 Anna is buried beside her sister Eleanor. 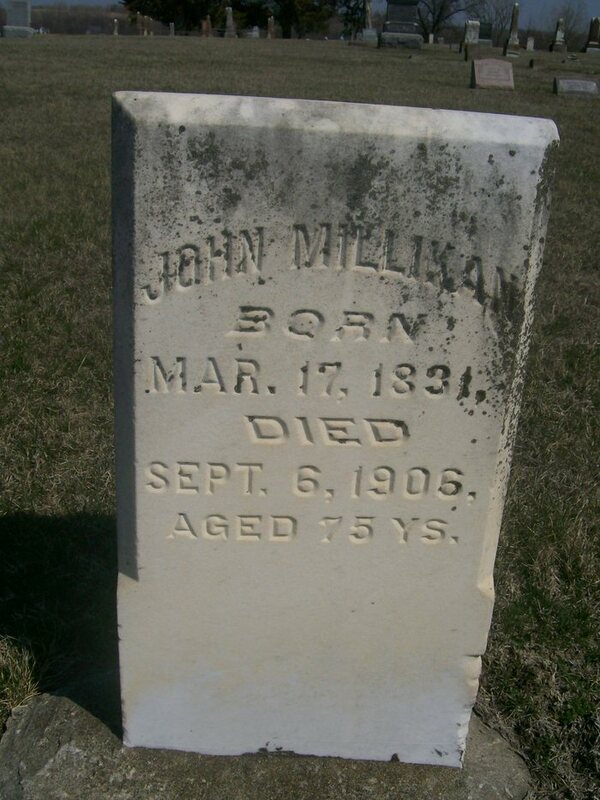 Mrs. Anna Hinshaw Millikan was born in Clinton county, Ohio, January 9, 1836; came to Kansas in 1871. 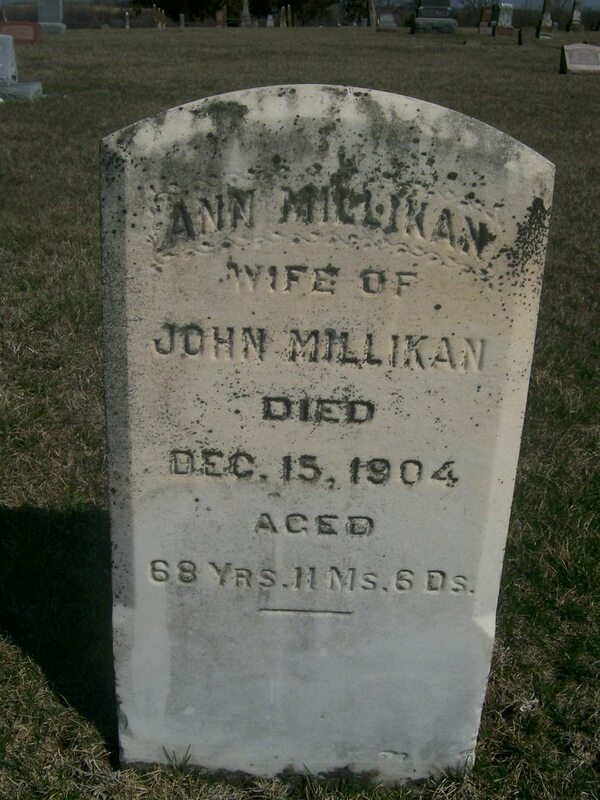 She was married to John Milikan [sic] January 22, 1872; died at her home in McLouth December 15, 1904, aged 68 years, 11 months and 6 days. The funeral services were conducted at the home by Rev. E.E. McAferty and Dr. Jones Friday, Dec. 16, at 2 p.m. Interment was had in Wild Horse cemetery, Saturday, Dec. 17, 1904. Obituary of Anna Hinshaw Millikan, posted Jul 19 2001 by Jim Laird () to KSJEFFER-L. Contribution from Mike Hadl ().